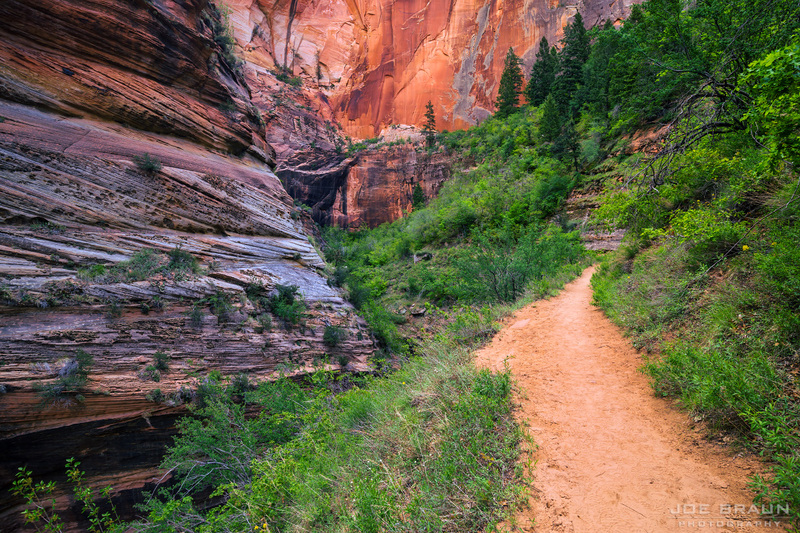 The hike from the Weeping Rock Trailhead to Observation Point is a classic hike in Zion Canyon and the viewpoint at the end of the trail is one of the most iconic in Zion National Park. 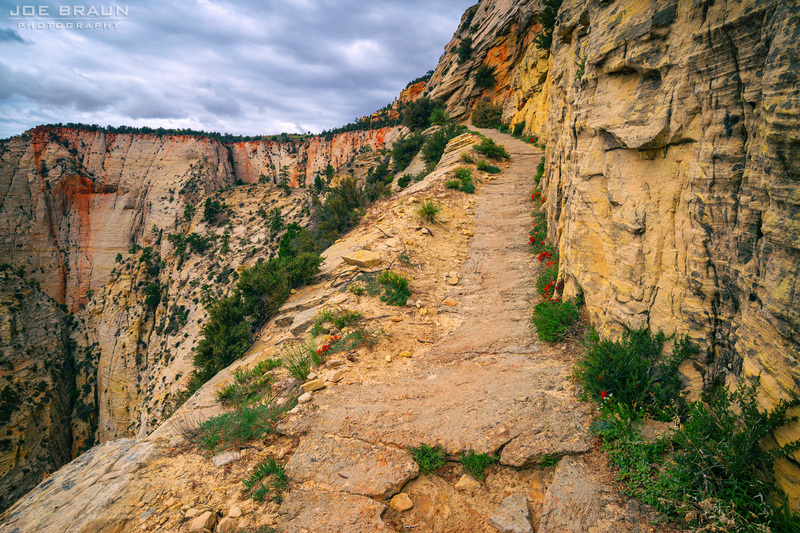 The Observation Point Trail is a strenuous 8-mile round trip hike along a seemingly unrelenting uphill paved trail that was chiselled out of the canyon walls and cliff formations. Along the way, hikers get a glimpse into the dark and mysterious Echo Canyon with its beautiful dark slot canyon formations and stunning White Cliffs. 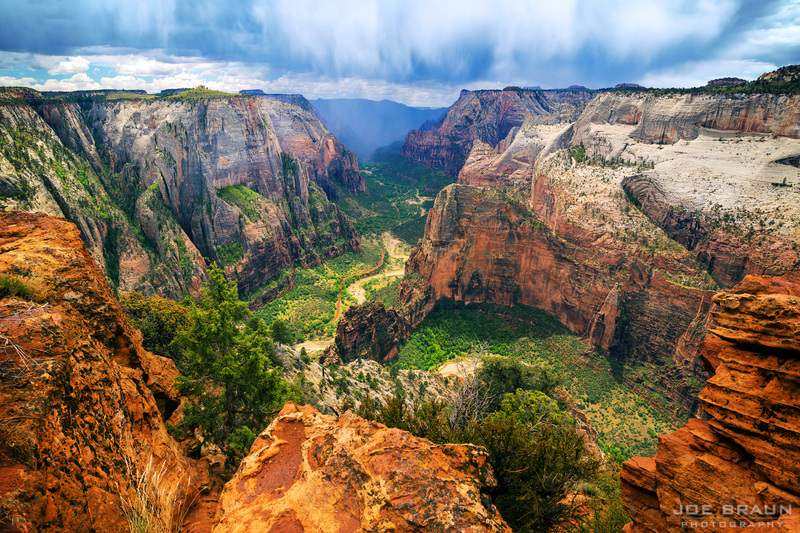 While this hike isn't as exposed or fear-inducing as Angels Landing, with an elevation gain of over 2,100 feet, Observation Point is a more strenuous hike. And from the final viewpoint, you will be over 700 feet higher than Angels Landing looking down at it and the beautiful main canyon. SPRING 2019 NOTICE: This trail is currently closed due to a rockfall that has blocked the Observation Point Trail/East Rim Trail near the junction with the already-closed Hidden Canyon Trail. Alternatively if the dirt roads are clear, you can drive up to the east plateau and hike the East Mesa Trail to Observation Point. Elevation Change: 2100-ft elevation gain along the trail. Seasons: Year-round. Spring and fall are most pleasant; summer can be very hot. The trail is accessible in winter, but snow or ice from any recent storm could pose a problem. Beyond the East Rim Trail junction, the Observation Point Trail resumes its steep zigzags as it makes its final ascent through the upper White Cliff formations and after 2,100 feet of elevation gain, you will be standing on the rim of the sandy upper plateau! 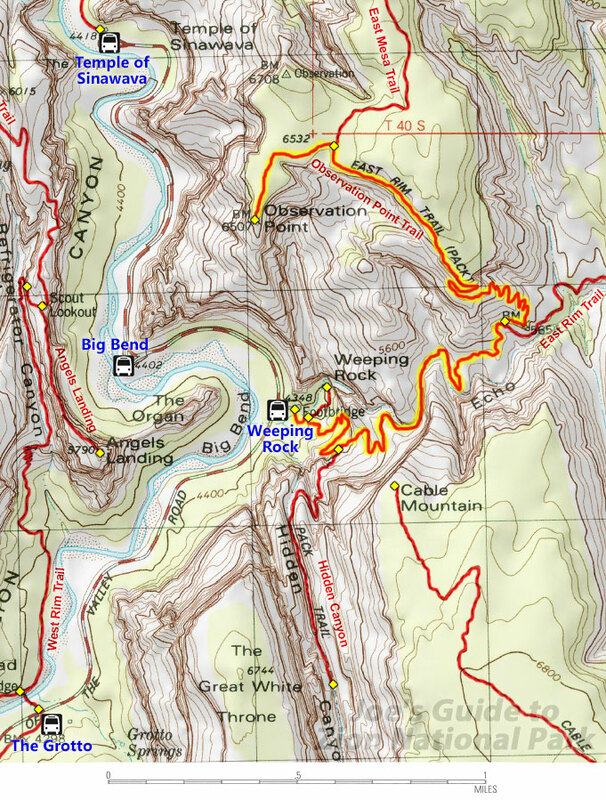 The last mile is mostly level as the trail heads northwest to loop around above the main canyon. Along the way, you will pass one last trail junction, the junction with the East Mesa Trail, a not-so-commonly used alternate route to Observation Point from the east boundary of the park. Soon enough the trail heads south and you will reach Observation Point, a magnificent rim vantage point with a 270-degree view. Note Angels Landing and the valley road far below! The trees and sandstone offer great places to enjoy lunch. Return the way you came. Note that the pounding downhill on the paved trail is not kind on the knees, so allow plenty of time and take it easy. Weeping Rock to Observation Point is a good workout. While the zigzagging trail may prove to be a bit monotonous for some, the view from Observation Point is stunning. Equally sublime are the views in Echo Canyon, from the grand beauty of the White Cliffs to the intimate beauty of peering into the slot canyon sections as the trail crosses the drainage. You will definitely feel this hike in your legs and in your lungs!